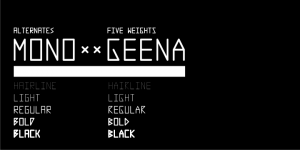 0Geena Mono is a classical example of caps only font, built out of just straight lines is available in 6 flavors, which can be bought separately or in a combo pack. 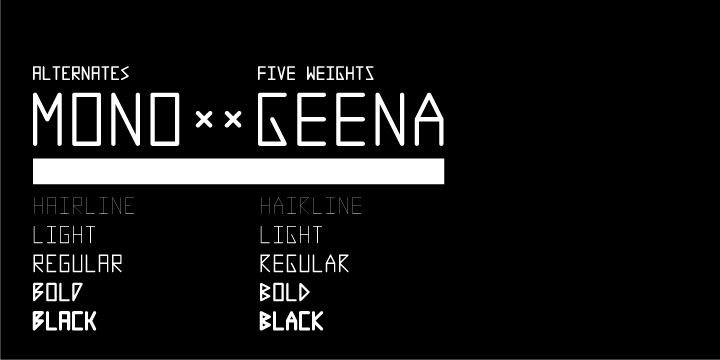 This font gives a very neat finish with its digital look and more importantly have the fonts rightly spaced. Designed by Dimitre Lima from Brazil this gives a very nice feel of caps only type fonts.